Hi! It's Jilly. 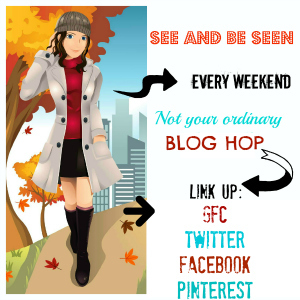 : Weekend Blog Walk- Link up YOUR social media, and make some new bloggy friends! Weekend Blog Walk- Link up YOUR social media, and make some new bloggy friends! Welcome to the Weekend Blog Walk!! This Walk just keeps growing and growing! We appreciate all of you who link up, comment on each others' blogs, and share the Walk through Facebook, Twitter, and Blog Buttons! You guys rock our socks off!! Let's get Walkin'! Oh! And don't forget to enter my awesome group giveaway, going on right now! What is a Blog Hop Anyway? There's Etiquette?! Follow your Co- Hosts and Guest-Hosts via Facebook, Twitter, Pinterest and GFC. If you're already following on GFC, please follow on Facebook! If you link up to the Twitter, Facebook and/or Pinterest linky, you MUST follow your hosts via that social media option! We love to help you grow your networks, but ask that you also help us grow ours. Interested in being a Guest-Host… send an email to athometake2 at gmail dot com (athometake2@gmail.com) and be sure to put Guest Host in the subject line. 1) Follow your Co-Hosts and Guest Hosts (1-5 on the Linky) via GFC, and Facebook, Twitter or Pinterest. Please leave a comment if you are a new follower. New follower from Weekend Blog Walk! Thanks for linking up!! You're awesome! Hi, I'm a new follower on GFC. Thanks for hosting this link up! Hi Jilly! Thanks for hosting this awesome party! I'll be back later to do some more hopping around :) Thanks for linking up with my NO RULES Weekend Blog Party!! Hey Jilly! I'm following you from the weekend blog hop. Hope you have great weekend! Hello from a new follower! Cute blog! New follower! Great looking blog! Love the background! Thanks for hosting. I'm your newest follower from the blog hop. I'd love for you to stop by. How is life with triplets!